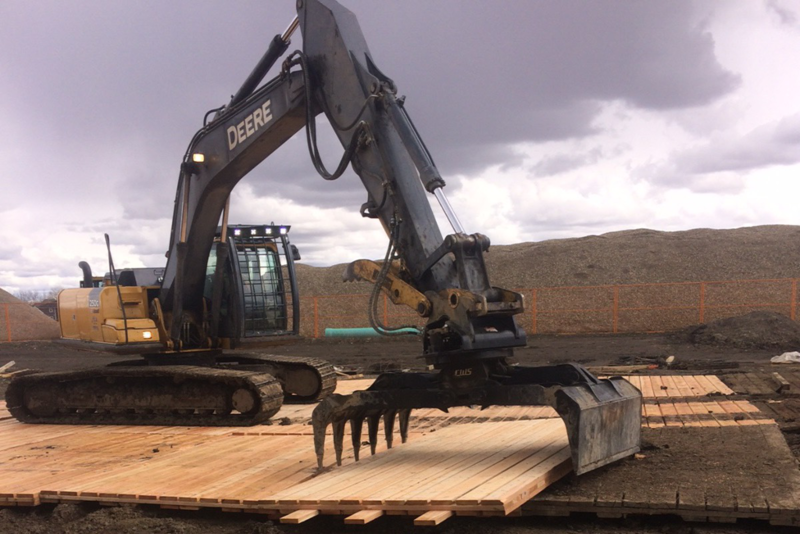 GNB rents, installs and sells Bridge & Crane Mats, Rig Mats, and Road Access Mats. We offer a variety of mats to suit the specific needs of your project, no matter how big or small. All steel Bridge & Crane Mats serve as temporary bridges that can be used as road and site matting. Each mat can be used as a temporary stream crossing for short distances. Compared to standard road rig mats, they are made of interlocking engineered steel to provide significantly increased loading capacity and substantially more stability on soft ground. The all-steel engineering ensures safety, reliability, and that the mats do not buckle. Heavy duty platforms that serve as a base for oil and gas rigs, tank farms, pipeline construction and other industrial applications. Our Steel Framed Mats are available to purchase or rent and come in 40’x12′ size platforms. We also offer installation and tear down on our rig mat rentals. 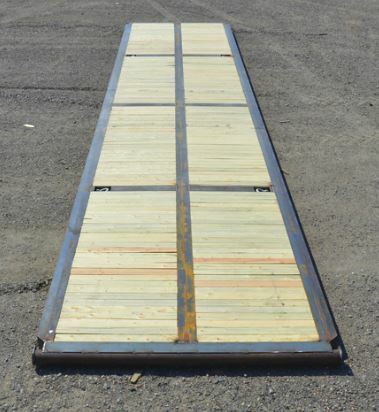 Road Access Mats are made of wood and come in 8′ x 14′ sized platforms. 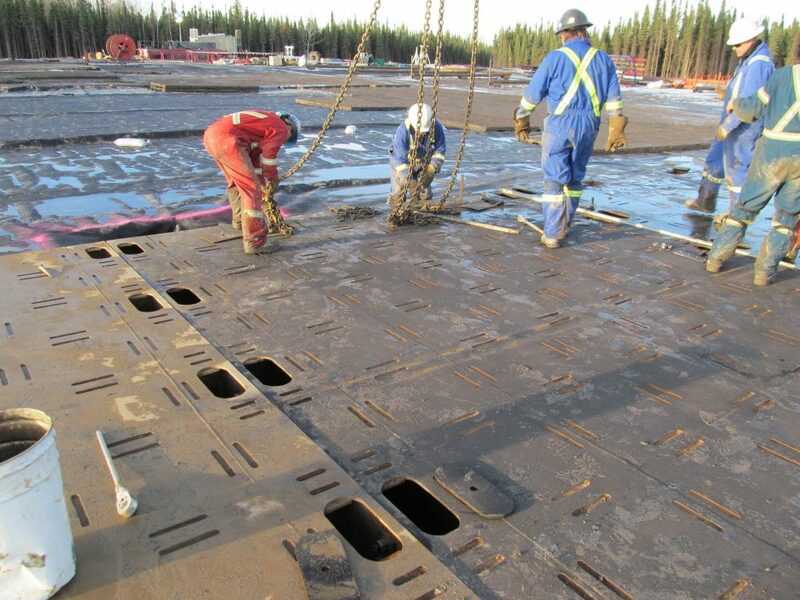 Our reliable access mats enable your crew and heavy equipment to safely reach their destination. These mats are available to purchase or to rent. These mats can be a temporary (as shown to the right) or a long-term solution.